How Much Does a Penny Weigh in Comparison to Its Worth? Many people mistakenly believe that the U.S. penny is minted from 100 percent copper. Since the latter part of 1982, pennies are just 2.5 percent copper. The remaining 97.5 percent of the penny’s composition is zinc. Since copper is now considered an inexpensive way to trade on the commodity value of metals, many people look at their pennies in a different way. The ubiquitous penny jar can contain treasure. Pennies are also quite heavy relative to their worth unless you happen to receive a 1934 wheat penny worth hundreds of thousands of dollars in your change. Wheat pennies with errors from the 1940s are also quite valuable. Check your change to identify old coins. It’s an educational and enjoyable pastime. Older pennies are worth more than their one cent face value even if they are not especially rare collectible specimen. For instance, older pennies from 1909 to 1958 (wheat) or 1959 to 1982 (Lincoln Memorial) have an average composition of 95 percent copper to five percent zinc. (Later coins as described have slightly less copper.) These pennies weigh an average 3.11 grams. Note that the 1943 steel penny has no copper or zinc. Using current metal commodity prices, an older U.S. penny’s melt value is $2.07 (copper/pound) at 95 percent copper. The value of zinc at today’s prices is $0.70 (zinc/pound) at 5 percent zinc. Using .002220 as a pound/g conversion factor, the copper value ($2.07 x .00220) times (average penny weight of 3.11 g x .95 copper composition), the older penny is worth approximately 0.0137, or 1.37 cents. Melting down older pennies to capture a small premium isn’t likely to capture the imagination of most Americans. However, owners of some pennies could realize a greater return by trading or selling their older specimens. 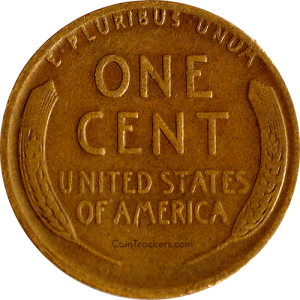 For instance, a 1933 penny (more than 14 million minted) is worth between $0.50 and $1.00 in good circulated condition and about $10.00 in uncirculated condition. Metal composition is one of the important ways that the U.S. penny has changed over time. In periods of war, pennies were minted from steel coated with zinc. However, in the late 18th to mid-19th centuries, pennies were minted from almost pure copper. From 1837-1857, pennies were actually bronze. Thereafter, pennies were composed of copper and an inexpensive bronze or nickel alloy. In late 1982, U.S. pennies are primarily composed of zinc. Copper has tended to increase in value over time. If you owned pennies made of pure copper, the coins would be worth at least two or three times more than the spending value of one cent. Of course, owning rare pennies are the best way to cash in on a penny worth more than its face value. 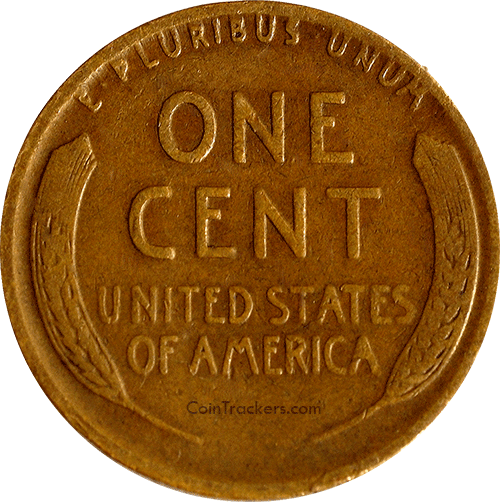 Some mostly copper pennies from the 1940s are rare but not because of their composition. Since the American Numismatic Association believes only 40 such pennies exist today, collectors trade them for huge sums. In 2012, ABC reported that buyer paid more than a million dollars to own a rare and seldom-handled bronze Lincoln penny. The 1943 copper-bronze alloy penny is obviously a great collectible find. It’s unlikely that you’ll find one in your penny jar. Since circulated pennies in the 1940s were primarily zinc-coated steel, the rare Lincoln penny reflects a time when America used nickel and copper to win World War II. The first 1943 Lincoln cent was resold in 1958 and brought its owner a princely sum of at least $40,000. A later collector sold one for just $10,000 during the 1981 high interest rate and inflation economy. In 1996, another 1943 Lincoln sold at more than $82,000. Counterfeits of the rare coin are abundant. Fraudsters coat steel pennies and change the dates on 1945-1949 pennies in an attempt to lure novice collectors. Check any 1940s penny for steel content by using a magnet. If the penny sticks, it isn’t copper. If it doesn’t stick, the coin should be taken to a reputable expert for verification. Collectibles experts know that a coin’s value is reflected by what the new buyer pays for it. Many old pennies are valuable collectibles: they are worth many times their one cent face value. Online markets show prospective buyers the actual purchase and sales prices of old pennies. Market conditions ca change quickly, so books and out-of-print magazines do not reflect actual examples in a real-time environment. Many people are passionate coin collectors. Saving pennies to lighten your pocket or handbag load is sensible. Many pennies are intrinsically worth more than their one cent face value, and learning about the collectible value of pennies is a fascinating way to approach the history of money. Checking your pennies every so often is an enjoyable activity to share with someone you love. You never know what you’ll find in spare change.